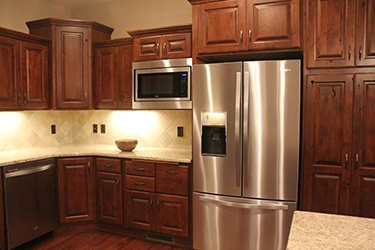 Boesker Construction offers all type of carpentry, including new construction, addition, remodeling and interior commercial remodeling & repairs. Ensure your next home repair or construction project goes smoothly by hiring a professional, insured carpenter. 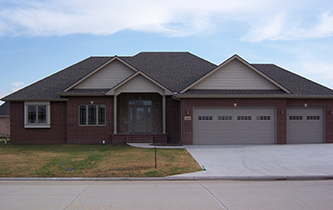 Darryl Boesker is a skilled local carpenter who does the job right the first time using the highest quality materials and craftsmanship. 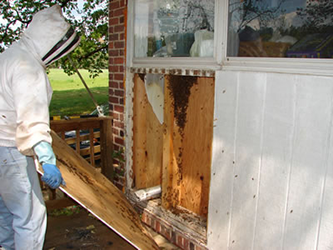 After determining the exact location of the colony, we carefully open the area of infestation and gently remove the bees and honeycomb. When cleanup is complete, we put our expert carpentry skills to work to close the hole without leaving any trace of the repair if you so desired. 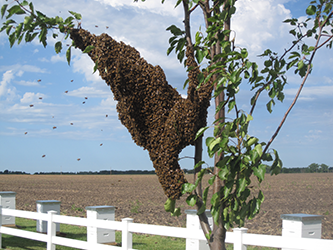 There was 8 pounds of honey bees in that swarm. Most are considerably smaller. We also sell local raw honey and custom package orders for special occasions or promotions.